The year is 1537…Joanna Stafford, a Dominican nun, learns that her favorite cousin has been condemned by Henry VIII to be burned at the stake. Defying the sacred rule of enclosure, Joanna leaves the priory to stand at her cousin’s side. Arrested for interfering with the king’s justice, Joanna, along with her father, is sent to the Tower of London. The ruthless Stephen Gardiner, Bishop of Winchester, takes terrifying steps to force Joanna to agree to spy for him: To save her father’s life she must find an ancient relic—a crown so powerful, it may hold the ability to end the Reformation. Accompanied by two monks, Joanna searches in secret for this long-lost piece of history worn by the Saxon King Athelstan in A.D. 937 during the historic battle that first united Britain. With Cromwell’s troops threatening to shutter her priory, bright and bold Joanna must now decide who she can trust with the secret of the crown so that she may save herself, her family, and her sacred way of life. 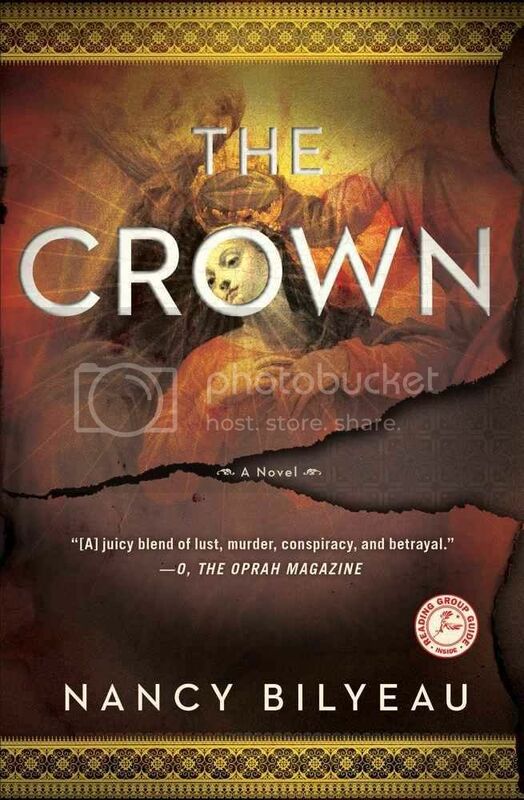 The Crown is now out in paperback, and Touchstone Books is offering copies to two lucky Devourer of Books readers with addresses in the United States or Canada. Simply fill out the form below by 11:59pm Central on Sunday, September 2nd. Oh fun! I’ve had the Tudors on the brain lately – after reading Susan Higginbotham’s latest and G.J. Meyer’s The Tudors. This one sounds good too! Thanks for the giveaway. This book sounds fascinating.